JimmyFungus.com: Celebrate Christmas with Hitler and Abraham Fungus Jr.! 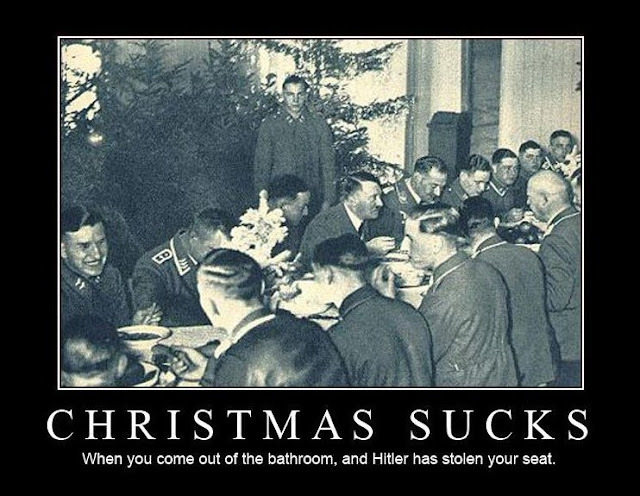 Celebrate Christmas with Hitler and Abraham Fungus Jr.! Luckily, since the presidential election season is over, former Independent presidential candidate Abraham Fungus Jr. hasn't had a lot to do. So, he has been making some cool videos for me of late. They are not necessarily directly related to Christmas, but they are religious in nature (which probably has a lot more to do with Christmas than 90% of the Christmas mumbo jumbo you see reported by the mainstream anti-Rebecca Black media!). 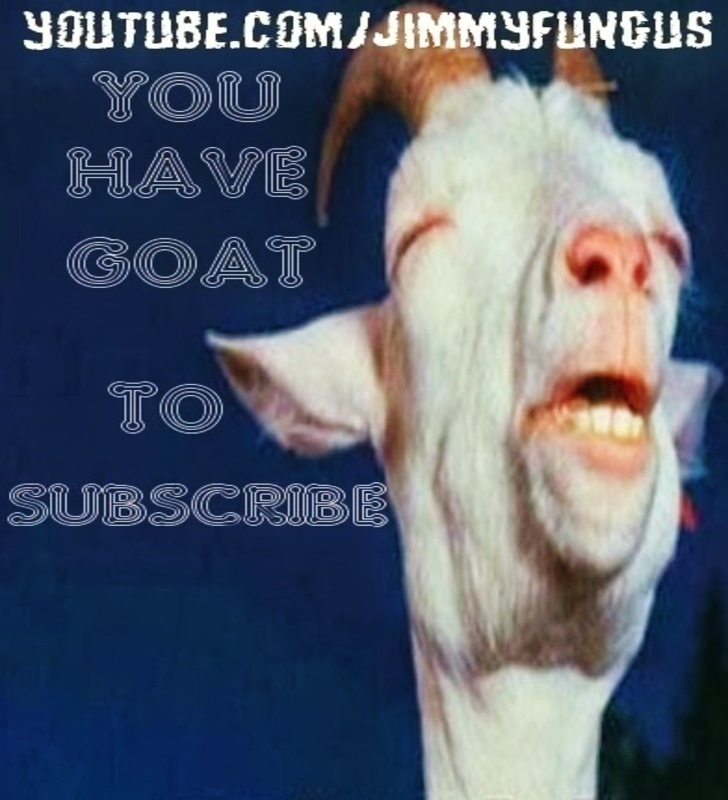 So, the first Abraham Fungus Jr. video that I am posting for you was a response to the Amazing Atheist of youtube, and the Amazing Atheist's very timely Christmas video "Jesus is a Scumbag." 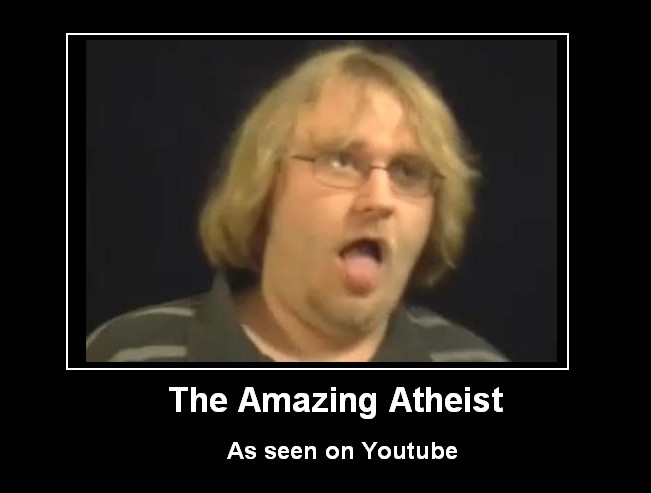 ...and here is Abraham Fungus Jr.'s response to the Amazing Atheist. Being that Abraham Fungus Jr. is not only my top news & politics analyst, but also my End Times biblical prophecy expert, I asked him if he would mind doing me a vid on the "end of the world" issue as well. Then I came across a video by William Tapley (aka "the third eagle of the Apocalypse" and "co-prophet of the End Times") who hosts a show called "Revelation Unraveled." When I viewed Mr. Tapley's video "The Antichrist Arrives Gangnam Style", I felt it was important that Abraham Fungus Jr. produce a response video as soon as possible, or before the Second Coming of Christ (whichever came first). 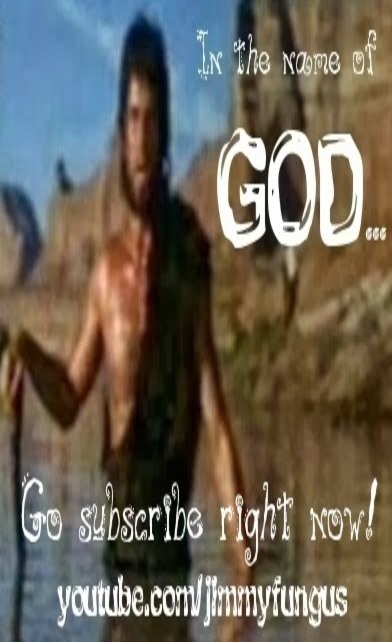 ...and here is my Biblical prophecy expert Abraham Fungus Jr.'s response to "The Antichrist Arrives Gangnam Style!" Welp, dear friends. That is all the amazing new Christmas content I have available for you today. Once again, Merry Christmas, and please remember to support your local zoo. Tapley is the 5th turkey of the apocalypse. Abraham Fungus should stop calling himself a failed presidential candidate. No one who puts his program to the voters is a failure. Without choice there's no freedom of choice. Well Hitler and Gangnam Style certainly wasn't how I expected to spend Christmas but I could have done worse. 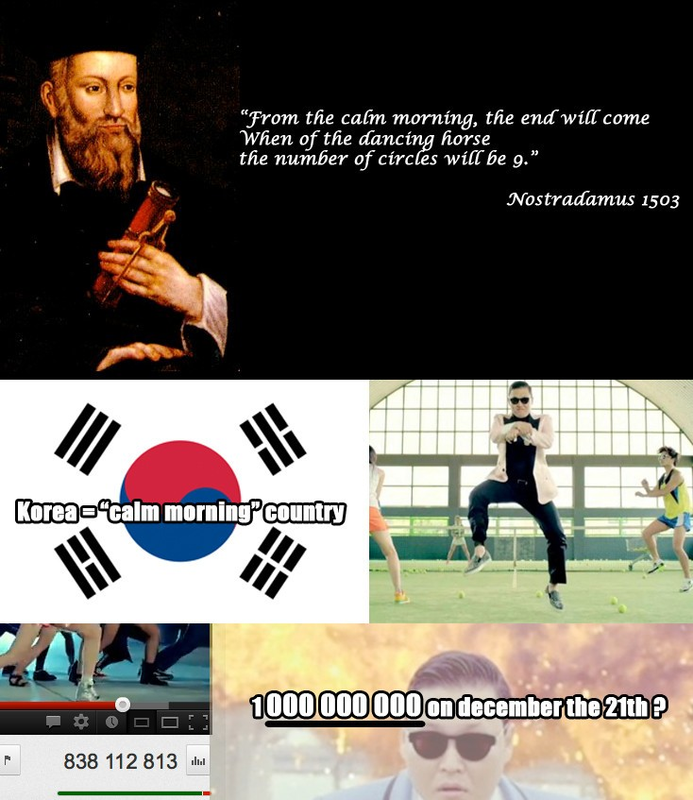 I saw that picture of Nostradamus predicting Gangman Style and it blew my mind.